Adelphoi (ADL) is a cryptocurrency token generated on the Ethereum blockchain. The total supply of Adelphoi that will ever be issued is 100.00 Million tokens, and the current supply of ADL in circulation is 20.72 Million tokens. 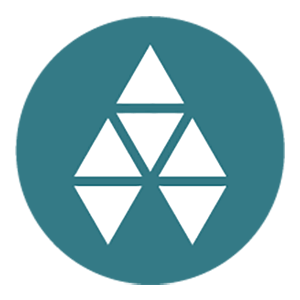 Current Adelphoi price is $ 0.0105 moved up to 20.4% for the last 24 hours. All time high (ATH) price of Adelphoi reached $ 0.0717 on 10th Nov 2018 and fallen -85.3% from it. Adelphoi's share of the entire cryptocurrency market is 0.00% with the market capitalization of $ 218.60 Thousand. Adelphoi’s 24 trading volume is $ 153.00. It is trading on 3 markets and 1 Exchanges . Find more details about Adelphoi cryptocurrency at the official website and on the block explorer. Adelphoi price Index provides the latest ADL price in US Dollars, BTC and ETH using an average from the world's leading crypto exchanges. The Adelphoi to USD chart is designed for users to instantly see the changes that occur on the market and predicts what will come next. Adel is a technology incubator for blockchain innovation. Its community collaborates on ideas, and uses the AdelWiki™ to collectively create business plans. Members vote on projects and can become profit participates when they are launched. Expertise within the community brings mentoring, learning, and employment opportunities. Successful projects are re-invested for further growth, or issued as rewards to members. Adel is blockchain agnostic, and will harness the features of any open-ledger platform to showcase its potential.